Fiji's illegal government has agreed to diplomatic ties with Myanmar, the country formerly known as Burma, which has been under military hands for nearly 50 years and responsible for the deaths of hundreds of its people. Myanmar's state-run newspaper, the New Light of Myanmar, reported yesterday that a joint communique was signed by its permanent representative to the United Nations and his Fiji counterpart in New York, on Monday. Fiji is the first country Myanmar has chosen to forge diplomatic links with, this year. The diplomatic ties, which are expected to result in amabssadorial representation, is not surprising. Both countries are run by military junta's who have refused to give up power and allow elections. General Ne Win took control of Myanmar in 1962, ruling via a revolutionary council that controlled almost all aspects of society, for the first 26 years. It's a tack the illegal government of Fiji has employed with the public emergency regulations and now the decrees. The Burmese junta tried to legitimise itself in 1974, with General Ne Win and fellow generals resigning from the military to take civilian posts. Eelections were allowed but it was a one-party system, only. 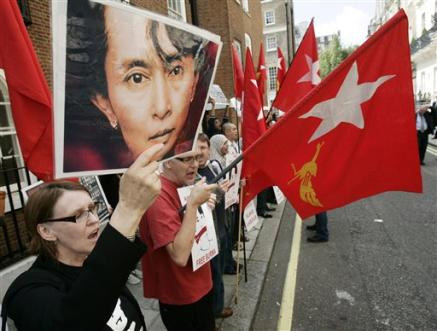 Ne Win then ran the country via the Burma Socialist Programme Party until 1988 but the reign of power did litte good - Burma became one of the world's most impoverished countries, thanks to the policies and draconian methods of the military leadership under the guise of party politics. Some believe this is where Fiji is currently at. The people of Burma resisted the junta rule, with students and later monks taking the lead and instigating the demonstrations, but there have been deaths. The persecution of so-called "resident aliens" (Burma is surrounded by Thailand, China and India has many ethnic groups) has led to an exodus of an estimated 300,000 Burmese Indians. The start of a pro-democracy movement came in 1988, after unrest over economic mismanagement and political oppression but security forces killed hundreds of protestors, prompting another coup by another general. Martial law was introduced with the mlitary government finally agreeing to a People's Assembly elections in 1989, when Burma's name was also changed to Myanmar. Free elections were finally allowed in 1990, the first time in almost 30 years. The National League For Democracy party of Augn San Suu Kyi was the clear winner but the results were dismissed by the military who refused to step down. Suu Kyi remains under house arrest with the international community divided on how to deal with the military junta. Canada, the United Kingdom, the United States and France want to apply more sanctions but neighbouring countries, in particular, China, oppose the idea saying isolating Myanmar doesn't help. The international community and Fiji's nearest neighbours are in the same dilemma. Fiji's new diplomatic ties with Myanmar, allows it to cosy up even more to Asia. And it's working hard to maintain and build on these relations. Voreqe Bainimarama is to lead the talks with China's premier when he goes to China in August for the World Expo. The junta is looking for $US3.5 million to help it relocate the Navua Hospital and it's clear Beijing wants only to deal with the top brass. The illegal government has other friends in Asia, of course - Malaysia recently gifted $US50,000 to help with the ongoing relief efforts for Cyclone Tomas. Bainimarama also met India's Minister of Finance, Pranab Mukherjee, earlier this month and it seems India is happy to support Fiji at an international level. Pictures: Top - monks hurt during the 2007 anti-government demonstrations. Below - Augn San Suu Kyi supporters in London try to push world governments to apply more sanctions on Myanmar. Oh no! Come on people of Viti, your destiny is in your hands. Wake up before you are too late, its time to stand up and be counted...fight for your rights or become monkeys for the rest of your lives. Keep the sacrifices they've made in mind, and take the time to embrace the understanding of how much these people must love you to have traveled so far for your wedding. This is the perfect chance to send a wedding announcement. With the advantages that technology is affording for us now planning that special day is a lot easier and simpler.